Even though the Sega Dreamcast library continues to creep up in value overall, there are still a healthy amount of games that can be picked up at quite reasonable prices. There’s been a few past recommendations that have jumped up significantly from their sub-$10 price point since our 2012 guide such as Elemental Gimmick Gear, Mr. Driller, Jet Grind Radio, Typing of the Dead, and RE Code Veronica (which particularly surprised me). However, a lot of our picks haven’t changed a whole lot. Last time, I based the quoted value as an overall average selling price (with both loose and complete mixed in). This time, I’m going to list both loose and complete prices (separated by a forward-slash) and have the goal of keeping a complete copy budget under $15 (instead of an average price of $10). 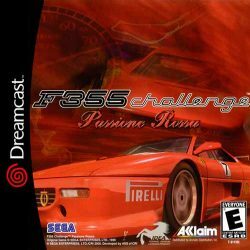 Premiums on some complete games make this a bit of a challenge, but I feel like most collectors are going for complete copies for Dreamcast. The goal of this Cheapest Games series is to give you a good starting place for shopping if you are new to the console or just looking for some affordable ways to boost your existing collection. 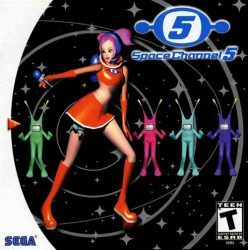 While the rhythm genre quickly moved on to full instrument controllers later in the decade, Space Channel 5 topped the charts with Dreamcast owners. Both the graphics and the music had a phenomenal retro-futurist (reminds me of a hip Jetson’s atmosphere) feel to them and kept Space Channel 5 from becoming just “another” simon-says-type game. Ulala’s legacy lives on in many other Sega games, but to this day, this original game still hasn’t received a port since the PS2’s Special Edition release. Space Channel 5 Pt 2 (which didn’t get a North American release on the Dreamcast ) got a PC and XB 360 port and there has been a Space Channel 5 VR game announced for the PS4, but the Dreamcast is still a great way to play the original game in the series. This Dreamcast launch title is one of the best examples of the incredible graphics the little white box is capable off. Between the polished visuals and the deep gameplay, the original Soul Calibur still holds surprisingly well to its newer siblings. The Soul Still Burns! 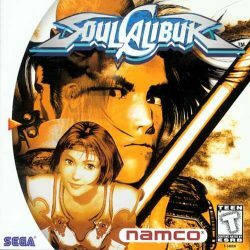 Soul Calibur is also one of the Dreamcast games that has had the largest price drop over the last couple of years. Despite the original being a Dreamcast exclusive, it remains a great value and should be a required purchase for the console — even if you are only mildly interested in fighting games. Sometimes, complete copies can easily stray above $15, so you do need to be patient to keep it under our budget. This arcade release of Crazy Taxi was one of the main reasons I initially jumped on the Dreamcast. 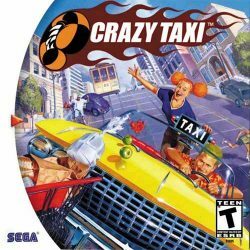 Crazy Taxi gives you control of a cabby racing around two San Francisco-esque cities, picking up customers and dropping them at their required destinations by any means necessary. It’s a race against the clock, resulting in no-holds-barred racing around the two cities, flying off hills and screeching around bends. Although some may argue that Crazy Taxi lacks some depth, they forget that this is a pure arcade game that compels you to beat your best scores. Fans often will stand by the original Crazy Taxi as being the best in the series, but Crazy Taxi 2 is also available for a little over $10 if you need more tracks to choose from. Crazy Taxi did eventually get ported to a bunch of platforms (including the PS3 and XB360’s digital marketplaces) so it may not be the system seller it used to be, but at the game’s price, its tough to beat for a physical copy and a defining piece of the Dreamcast’s library. 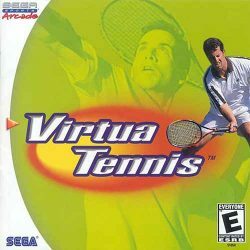 Having the essential quality of being easy to play and difficulty to master, Virtua Tennis (and its successor, Tennis 2K2) was one of the sleeper hits on the Dreamcast. It is often overlooked as a killer party game — I have had many parties with participants of all gaming levels having a blast on a 4-player doubles tournament. It is easy to overlook Virtua Tennis as an outdated sports game, but its is one of the timeless classics that shouldn’t be overlooked. There have been plenty of newer installments on more modern platforms (I even one on the PS3), but I still find myself going back to the Dreamcast original. This little gem from Sega was extremely popular and recognized by most gamers who had actually played it and virtually unknown otherwise. Chu Chu Rocket is a unique puzzle game that not only served as a good brain-teaser in single-player mode, but also has solid multi-player features. 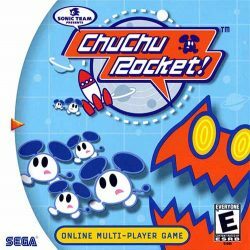 In fact, Chu Chu Rocket, was the first example of online multiplayer on Sega’s final console and redefined multiplayer puzzle game experiences for a lot of Sega fans. Sega later put up Chu Chu Rocket up on iOS and Android, but didn’t keep it updated (I know longer see it in the iOS App Store). Other than that, the Game Boy Advance version was the only other installment we ever received. So for a quality console version, this Dreamcast bargain is a no-brainer! 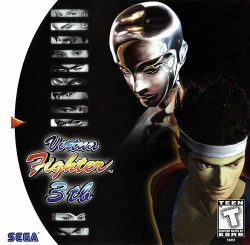 Even though it was probably the least celebrated title in a fighting series with a cult following, Virtua Fighter 3TB is a deep and refined 3D fighter. Virtua Fighter 3tb isn’t as eye-catching as Soul Calibur or Dead or Alive 2, gameplay and strategy is where VF3tb excels. The primary addition to Virtua Fighter 3tb’s gameplay is the Dodge button that makes Virtua Fighter embrace the 3D world further and let players evade enemy attacks and build opportunities for counter-attacks. This feature was later removed in future installments (but also inspired other 3D fighting franchises side-step features), so 3tb is an interesting installment to play in hindsight. 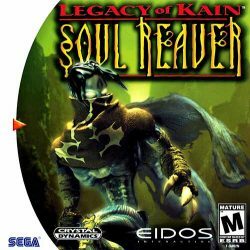 Legacy of Kain: Soul Reaver was one of the Dreamcast’s first fantasy adventure games and was one of the hot games during its release despite having the game’s initial release being on the PS1. And even though Soul Reaver was one of the games that most Pushed the Limits of the Playstation, the Dreamcast version took it another step further and was heralded as one of the best-looking consoles games upon its release. Legacy of Kain: Soul Reaver offers a killer story-line and innovative action considering the era. Once considered an essential title, many gamers have forgotten about it, leading it to a recent price drop. It is almost getting to “hidden gem” status. 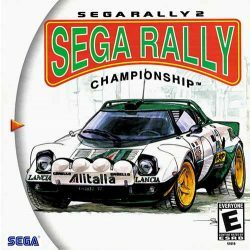 While the original Sega Rally Championship still has a strong following, the direct sequel should not be overlooked. Sega Rally 2 is a strong arcade port (more in line than the Saturn port of the original) and has improved physics, an expanded track and car lineup, and, of course, better graphic capabilities. Sega Rally 2 is rather abundant in supply but if often overlooked due to the increased competition in the 3D racing world at the time of release. But if you are a fan of arcade racing, but want some drift-heavy rally racing, Sega Rally 2 is worth the modest investment. If you are looking for a pure arcade racer, you will probably want to skip this one. However, if you like more of a simulator experience, keep an eye out for F355. The most defining characteristic of F355 is definitely its control. Compare to typically floaty control of most “sim” racers, you will be simply amazed at how tight everything feels in F355. It is also important to note that this perfect control is equally attainable with either the standard Dreamcast pad, or a (preferred) high quality racing wheel. Midway was on a roll with 3D arcade racers with Cruisin’ USA and then San Francisco Rush and brought the genre to the choppy waves of speed-boat racing. 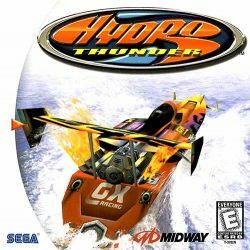 Hydro Thunder was a launch title for the Dreamcast and eventually was re-released in the Sega All-Stars “Greatest Hits” series. However, it was also released on just about every major platform of the era (including on the Midway Classics series on the PS2/XB/GC), so the Dreamcast version is far from exclusive. However, it’s a solid deal for a solid port. If you’re a Dreamcast fan, this is a nice addition. You should probably scoop this one up for less that $20 before everybody learns about it. The hidden gem exclusives are typically the games that end up appreciating in value over the long run. Much like Toy Commander, it is easy to write off Re-Volt as a bit of a kids game. It also was one of those games that got ported over to the Dreamcast after being on the N64. 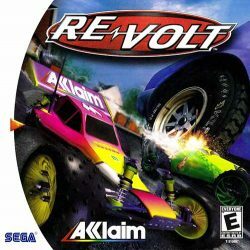 The N64 game got a bit of a reputation for performance issues, but this Dreamcast port is actually quite slick and makes for a great alternative racing game with great multiplayer capabilities. In certain multiplayer setups, it can almost feel like a cross between an old-school area FPS and a racing game. 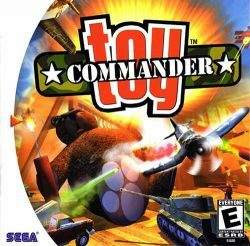 And much like Toy Commander, you are a small-fish vehicle playing in a real-life style world, so it also feels a bit like the Micro Machines franchise. 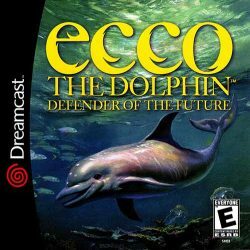 Ecco the Dolphin for the Dreamcast is one of those rare instances of a company taking a 2D game (the Genesis and Sega CD originals) and making it work in 3D. Defender of the Future is an amazing looking game — the rich textures and animation really bring the sea life to life. The game is also among the most challenging around again, but you’ll enjoy the brilliant atmosphere and story. It does have a cheaper PS2 port, if you are interested, but it’s a great Dreamcast piece if you prefer the Sega console. This Latin-flavored rhythm game involves waving/shaking maracas in certain directions to match the upbeat music. Not only is Samba wonderful to play, but it also fun to watch other people shake their maracas like there’s no tomorrow. Of course, a follow-up was released on the Wii, but the Wiimotes didn’t provide as accurate and enjoyable control as the Dreamcast’s maracas. No keep in mind, the Dreamcast Maracas are not cheap whatsoever. However! 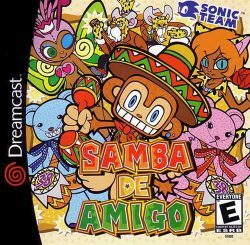 I’ve had plenty of fun playing Samba with just the standard Dreamcast controller. So on a budget, it’s a perfectly great rhythm experience. The Dreamcast is one of the very best home consoles for 2D fighting games. Unfortunately for those that haven’t picked them up already, most of them have been climbing in value over the last few years. 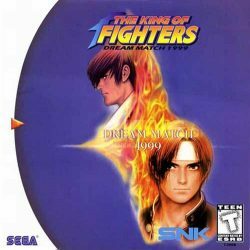 The King of Fighters Dream Match ’99 (a version of The King of Fighter ’98) is one of the best SNK fighters on the console and also one of the best 2D fighting values on the Dreamcast as well. In fact, King of Fighter ’98 is often considered the definitive installment of this iconic franchise due to its tight gameplay, roster, and balance. The Dreamcast version also happens to be one of the best ways to play it on physical media aside from the Neo-Geo. You will have to shop around a bit to find a near-mint complete copy under our $15 budget, but it’s a rather common release. 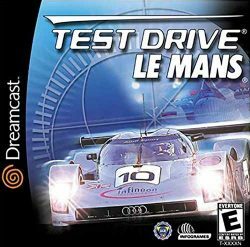 Le Mans was one of the best all-around racers for the Dreamcast and one of the most under-appreciated. It doesn’t have quite the realism of F355, mentioned above, but it is a bit more accessible and features a variety of options, cars, and phenomenally designed tracks. Test Drive Le Mans trademark feature is its 24-hour [Real Time] La Mans endurance course. Test Drive Le Mans also has rather advanced weather and night time mode for the Dreamcast era, so it still holds up quite well to this day. This racing treasure can still be found for a surprisingly low price even through it isn’t terribly common. If you are looking for yet another interesting take on the puzzle genre, Wetrix is an addictive, but challenging, but rewarding game that has more of a 3D design. 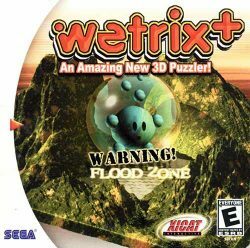 The multiplayer in Wetrix is one of the best of its kind, with a game between two good players being a highly enjoyable frantic dash to get ducks and evaporate water, while throwing earthquakes and ice at the other player to hamper them. The original N64 version is still quite affordable as well, but this enhanced version has stronger graphics and soundtrack plus a relatively more static camera style (albeit with options for zoom level). When it comes to arcade light-gun shooters, they don’t get much better than The House of the Dead series. It is filled will great pacing and solid thrills and accompanied by the trademark kitschy dialogue. Of course, for the best experience, you will need a light gun (and a TV that supports it), so that does add to the overall expense. For a while, most of the House of the Dead games were rather pricey (and the original on the Sega Saturn still ranks high in value). 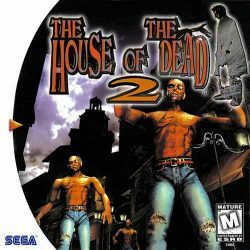 The game was included as a bonus on House of the Dead 3 on the Xbox and, of course, was included in the Wii Releases of The House of the Dead 2 & 3 Returns. This all has helped keep this Dreamcast version’s price in check. I actually first played this fun shooter/combat game on my new-at-the-time Pentium II PC, but the Dreamcast port is quite solid as well. This game also isn’t especially deep, but it has a fun arcade-like appeal to it with under-appreciated visuals. It’s shooting action also has some variety to it in the form of different vehicles and settings. 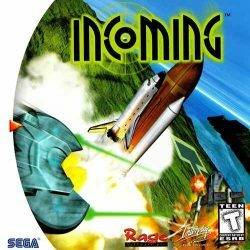 Incoming is often overlooked in bargain bins and game lots, but it well worth a try as a cheap pick-up. Another surprising-addicting puzzle game here. A lot of people don’t really give this title much thought as it has a rather minimal presentation and was actually given away for free on demo disks and with the Dreamcast Web Browser disc. Sega Swirl has a very simple puzzle mechanic (try to get the biggest combos while avoiding single colors), but is easy to learn, but though to master. It had online multiplayer via email, but you can also replicate the experience in a local multiplayer where you hand the controller back and forth. In addition, there was split-screen multiplayer as well. If you want to learn more about Sega Swirl, check out Slope’s Complete History of the game. 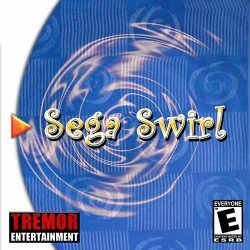 Sega Swirl actually had 4 million copies printed of the game so it shouldn’t be hard to find it somewhere. But it would be a shame to not mention this gem that won’t cost you much at all. Sega Marine Fishing is a great pick. First off it’s simply a fantastic arcade game as despite it being about fishing there’s a lot of depth, fast-paced action, and challenge. Secondly the aesthetics are great. What I mean is the atmosphere is nice, the music is excellent, and catching exotic fish is cool(not like 30 flavors of bass in that other game Zzz). Throw in a mode where you can build your own aquarium and it’s easy to blow several hours on this title. Vanishing Point, MSR & Stunt GP, I know the first 2 were available for NTSC but not sure about Stunt GP. All cheap here in the UK and all GREAT! I spent many hours playing VP & MSR infact deleted my save and played them through twice, thats how good they are.